Bigfoot confirmed by the Government? 2nd edition copy (1975) of the Atlas, in the Clark College, Vancouver, WA, library. There has been many questions about bigfoot, is it real? is it all a hoax? 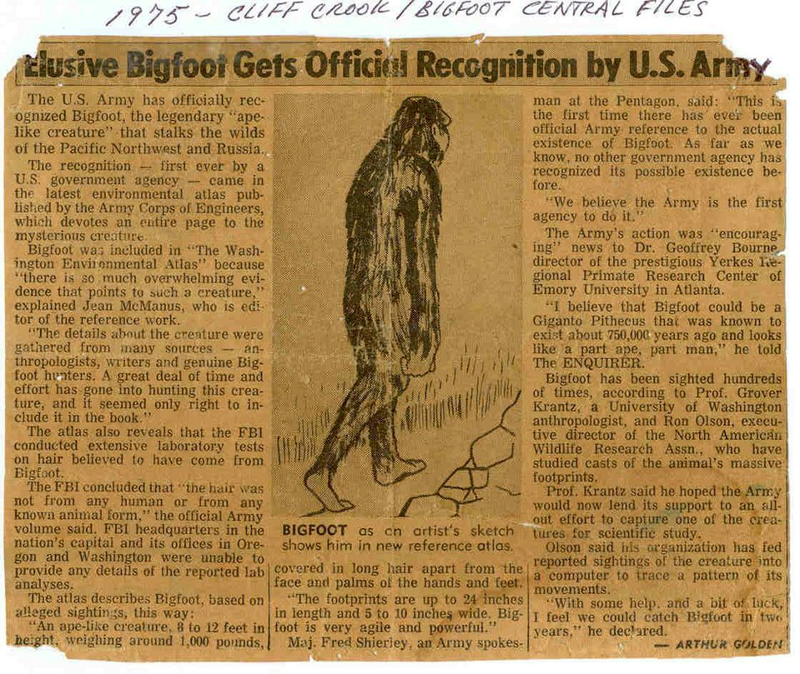 It seems that back in the 70's the u.s. government kind of confirmed that bigfoot was indeed a real creature. While some will always reject any info I could post or just say it's all a hoax, this infomation should be consider and looked at. This is a big post so please take the time to read it and comment. Though conceding that his existence is "hotly disputed," the Army Corps of Engineers has officially recognized Sasquatch, the elusive and supposed legendary creature of the Pacific Northwest mountains. Also known as Big Foot, Sasquatch is described in the just-published "Washington Environmental Atlas" as standing as tall as 12 feet and weighing as much as half a ton, covered with long hair except for face and hands, and having "a distinctive human-like form." The atlas, which cost $200,000 to put out, offers a map pin pointing all known reports of Sasquatch sightings, and notes that a sample of reputed Sasquatch hair was analyzed by the FBI and found to belong to no known animal. The last piece of information, that concerning analysis of hair led to the investigation by Peter Byrne of the Bigfoot Research Project in Mount Hood, Oregon. 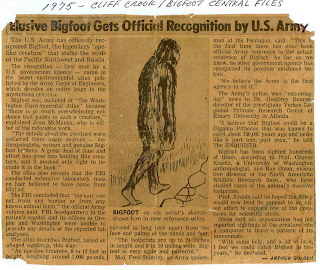 Byrne wrote to the FBI stating: "Will you kindly, to set the record straight, once and for all, inform us if the FBI has examined hair which might be that of a Bigfoot; when this took place, if it did take place; what the results of the analysis were." The FBI replied to Byrne's request as follows: "Since the publication of the "Washington Environmental Atlas" in 1975, which referred to such examinations, we have received several inquiries similar to yours. However, we have been unable to locate any references to such examinations in our files." The FBI did, however, follow-up with a Dr. Steve Rice, who was editor of the Army Atlas. In an official report, the FBI states: "After checking, Dr. Rice was unable to locate his source of the reported FBI hair examination." "Enclosed are previously processed documents which relate to "Big Foot." The enclosed are the best copies available. Serial 4 is missing from file 95-213013, the file where your release originates. Our effort to locate that document was not successful. It is possible that the number 4 was missed during the original serialization of the file." So what was in Serial 4? Will we ever know for sure? Certainly the FBI would be a little more efficient in their filing procedures to omit this section. We have, however, learned that analysis of hair samples as indicated in The Washington Star-News article definitely took place. George Clappison did extensive research on this incident and was referred by the FBI to the ex-head of their Hair and Fiber Unit. This person, who now runs his own private laboratory out of his home, was in charge at the time the hair samples were submitted to the FBI. He told Clappison that the analysis was done after hours on employees' own time. He further stated that no written reports were prepared on the analysis. In discussing the whole situation with the current head of the FBI Hair and Fiber Unit, Clappison asked if the unit would now consider analyzing other hair samples. The current manager agreed to perform an analysis, however, he informed the unit would not respond in writing on their findings. In the Washington Atlas, it describes Bigfoot as being a very large animal of 8 to 10 feet tall, weighing up to 1000 pounds with feet measuring up to 24 inches long. 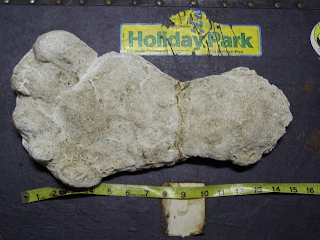 The width of the footprint is up to 10 inches wide. Keith Schreiner is Associate Director of the U.S. Fish and Wildlife Service. The service is the Government agency with responsibil...ity for protecting endangered and threatened species...The key law in preservation of a species is the Endangered Species Act, which pledges the United States to conserve species of plants and animals facing extinction. This broad, complex law protects endangered species from killing, harassment, and other forms of exploitation. The Act prohibits the import and export of, and interstate commerce in, endangered species. American citizens cannot engage in commercial traffic in endangered species between nations, even when the United States is not involved. Scientists wishing to study endangered species are required to have a permit issued by the U.S. Fish and Wildlife Service. Schreiner acknowledged, however, that a good deal of international cooperation would be needed if extremely rare species were found abroad. And finding one on U.S. soil would pose serious problems too. The key law in preservation of a species is the Endangered Species Act, which pledges the United States to conserve species of plants and animals facing extinction. This broad, complex law protects endangered species from killing, harassment, and other forms of exploitation. The Act prohibits the import and export of, and interstate commerce in, endangered species. American citizens cannot engage in commercial traffic in endangered species between nations, even when the United States is not involved. Scientists wishing to study endangered species are required to have a permit issued by the U.S. Fish and Wildlife Service. But before a creature can receive protection under the Endangered Species Act, a number of actions normally must occur which involve recommendations from the public, scientists, and State and foreign governments where the species exists. The first of these would he the species’ formal description and naming in a recognized scientific publication. In addition, if it were a U.S. species, the Governor of the State where it was found would be contacted, as would the officials of foreign governments if it were found outside the United States. Only after much information was collected could the Service make a formal determination as to whether the species should be afforded endangered or threatened status. Bigfoot, also known as Sasquatch, is purported to be an 8-foot, 900-pound humanoid that roams the forest and wilderness areas of the Pacific Northwest. One “eyewitness” described an obviously female Sasquatch as a “tall, long-legged, gorilla-like animal covered with dark hair and endowed with a pendulous pair of breasts.” It, too, has been described in publications and given a scientific name. In fact, so many people were stalking Bigfoot with high-powered rifles and cameras that Skamania County, Washington, is prepared to impose a fine of $10,000 and a 5-year jail term on anyone who kills a Bigfoot. 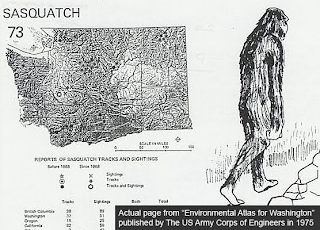 The U.S. Army Corps of Engineers even lists Bigfoot as one of the native species in its Environmental Atlas for Washington. This year the Florida and Oregon legislatures also considered bills protecting “Bigfoot” type creatures. A Bureau of Indian Affairs policeman has 18-inch plaster cast footprints of the “McLaughlin monster,” a Bigfoot-type creature he saw last month in South Dakota. Under U.S. Law, the Secretary of the Interior is empowered to list as threatened or endangered a species for 120 days on an emergency basis. For endangered species in the United States, the Secretary can also designate habitat that is critical to their survival. No Federal agency could then authorize, fund, or carry out any activities which would adversely modify that habitat. BIGFOOT VS. THE U.S. ARMY! The second notable encounter occurred at 2 am. on November 12, 1998, “Barry” was gunner on an armored tracked vehicle that was maneuvering on dirt tank trails in the swampy northeast portion of Fort Stewart. Barry was scanning for simulated targets through a thermal sight while the driver was driving using a night vision device.At one intersection Barry scanned the track and “observed something come out of the vegetation” 50 yards away, entering the brush on the opposite side. It crossed the 15 to 20-foot wide lane in three easy strides. The creature ignored the approaching tank, keeping its head and torso looking straight ahead. Barry had watched documentaries and read books about Bigfoot as a kid and he immediately thought this was one. Through the Bradley’s internal communications system he reported the sighting, but the spooked commander ordered the driver to “punch it” and the vehicle quickly exited the area. Barry’s story swiftly spread through the camp, with the soldier taking “some heavy ribbing over seeing Bigfoot.” Later another soldier approached and confided that his father — while stationed at Fort Stewart in the 1960s — had seen an identical UNCLASSIFIED animal in that area. Jeffery Fullerton A SFC MIL USA TRADOC USAREC. "I was a sergeant of Military Police at the time of the incident, stationed at Ft. Lewis, Washington. I went to investigate a report of a disturbance within the tree line, near the post stockade. This was early May 1984, approximately 0300-0400 hrs (the bars had closed shortly before the call). The MPDO heard strange cries from within the forest and wanted it checked out. I went in one direction while the K-9 unit went in another to sweep the area. We planned to meet up again at an old railroad spur, not too far into the trees. I saw nothing nor heard a sound until the K-9 apparently made contact with something, then I heard five distinct pistol shots, at which point I heard a deep, guttural, growl building into an extremely high pitched howling (I'd never heard anything like that) and the sounds of something large crashing through the thick brush and foliage in the area. (Important to note that I was too young and gung-ho, i.e. stupid, to be scared)! I was armed with my issue .45 and 12 ga. riot gun and continued to the rendezvous point, hearing nothing further. mocking along the southeast edge of the meadow, but still within the tree line. (Mt. Rainier was Southeast of my location and this was the direction of movement.) It appeared to be a bear. I held my weapon at the ready. When the object turned and came out and into the meadow, it was approximately 35 yards from our position moving from left to right. It did not register at first, as I nearly pulled the trigger, but something didn't look right. Bears walk on all fours; this bear was clearly walking on two legs. It was getting on towards morning as false dawn was in evidence. I could see well enough, but not as to clearly make out facial features. All I can figure is the wind must have shifted for the creature stopped and turned its head and looked directly at me. It turned its whole body and just stood there looking at us, arms by its sides. The creature was not threatening us at all so I lowered my weapon and did not open fire. I remember the head moving slightly from side to side... it did not move closer and neither did we. We stared at each other for less than 2-3 minutes (maybe less) ultimately it resumed its original direction and walked away looking back once but kept going, disappearing into the opposite tree line. The animal was covered with short, dark hair, massive arms and shoulders, probably 7 1/2 to 8 feet tall, the neck was not evident, the head bullet-shaped, the face appeared ape-like (though due to poor light conditions I could not see facial features clearly) but I can say that it definitely was not Elvis nor the Pillsbury dough boy. I estimate the weight at close to 500 lbs., (as tracks we found later would attest). I estimated the size by comparison. My son likes WWF Wrestling and I met Andre the giant and shook his hand. If he is really 7'4", then this creature was taller yet as I am 6'5" and recall the size difference between Andre the giant wrestler and me. At the time, it was said we were either drunk, crazy or on drugs as I recall the harassment I had to endure. I can't imagine a person so bored with life or in need of attention to purposely set himself to look like a fool. I'll tell you now; no official report was ever made. I valued my army career more than a few moments of limelight. As I said, I saw an ape-like creature. I never said I saw bigfoot nor had a doughnut with a sasquatch. But I'm 43 now, retired military. I cant prove any of this, all I can tell you is I know what I saw, it no longer matters who believes me or if nobody does. and he played an audio cassette of a supposed bigfoot for me. The scream was exactly as that one I heard so long ago. I must say further, that the creature I saw did not appear to act as though it had recently been shot at. 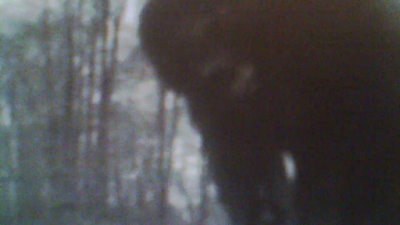 Todd Neiss of Oregon was witness to three Bigfoot in 1993 in Oregon while on military duty. Todd was a sergeant in Charlie Company (1249th Combat Engineers) and while training on a mission of Combat Engineering witnessed 3 sasquatch, he said this "In the middle stood, what I assumed to be, the alpha male of the group; as it towered a full head above the two creatures that flanked it. I would estimate it to have stood approximately nine feet high, with the flanking creatures approaching seven feet in height"
There are many more stories about the military and sasquatch running into each other but I'll stop with the stories for now. Talked about bigfoot - Army Corps of Engineers , Dept. of the Interior, Fish and Wildlife Service, FBI , The Washington Star, Washington Atlas . Many reports and several coming from the Washington area. Others from Oregon and Georgia just to name a few. So in closing it appears that many government agencies, including the military, have already accepted that bigfoot is a real creature. FWIW, "Arthur Golden (born December 6, 1956) is an American writer. He is the author of the bestselling novel Memoirs of a Geisha (1997)." Did he write for one or more newspapers at any point in his career? Of course it may very well be a pseudonym or a different person name Arthur Golden who wrote the story. Why can't the gov't just go ahead & own up to the Sasquatch people existing & President Obama do an executive order protecting these creatures with imprisonment & heavy fines if someone in any way puts one in any hurt, harm or danger? Let's fight for their protection. Before President Obama passes such a law, do we not first require physical evidence that Sasquatch actually exists? If such evidence cannot be brought forward to the public, then why bother to pass a law protecting an animal that has not been scientifically proven to even exist? there is already tons of physical evidence - track casting are evidence, witness testimony is evidence, videos and photos are evidence, stick structures are evidence, ....yes some of this is not all physical but it has to be considered. Obama should know that Sasquatch exists. He's married to one!! Woof!!!! A male squatch at that too. Forest ranger Charles Branson Shocking Report! Justin Smeja reveals some details ! Alien filmed in Brazil rainforest? Fact or Faked New Tonight! Preview! update on the Sierra Shootings saga & More! Two cougar sightings Verified ! Is this Proof of Alien Grays? More reports of a Large UFO in Kansas City area! We are Back ! heres a new Video !